Happily married and living in London, a surprise phone call sets author Rainee Allen on an unexpected journey. Joshua, the son she never got to know, will be in Italy and wants to meet her. However, her excitement is short-lived when a terrorist group intervenes and kidnaps him. 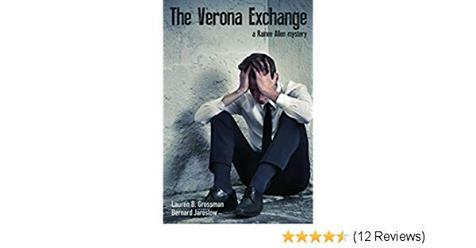 With only her intuition to guide her, Rainee Allen finds herself embroiled in a multi-city search that has Italy’s infamous Red Brigade, Interpol, and Rome’s police brought together in a cat-and-mouse game putting her in dire circumstances. The hunt ends up at a festival outside Verona, where the exchange turns out to be complicated beyond her imagination. Rainee Allen, an adventurous author with a penchant for research and action is no stranger to suspense and intrigue. This time it is personal and she’s in it for blood. Award-winning author Lauren B. Grossman and Bernard Jaroslow collaborated on this new Rainee Allen mystery.